Dubai, UAE, January 03, 2019: Did you know that people with fairly white teeth smile more often and are conscious of the positive effect it has on others? The inverse of that is also true. People hold back a full smile, consciously at first, and then habitually, simply because of their not-so-white smile, making it difficult to meet new people and express certain emotions. If you want to face every day of your 2019 with a big and full smile, make it your resolution to get those pearly whites back with periodical visits to The Smile Bar, an exclusive dental whitening treatment centre for men and women. It's not only going to make you feel good about yourself but will also make everyone else take notice. This goal is easier than you think with The Smile Bar's Yearly Whitening Treatment Package. Just a few minutes of painless treatment throughout the year and your confidence will soar. Give 2019 your best smile! The Yearly Whitening Treatment Package worth AED 2,900 includes 12 x 20-minute sessions. 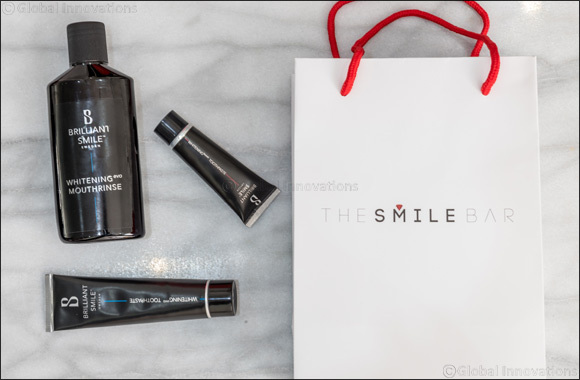 The Smile Bar also offers products from Swedish ‘Brilliant Smile' to help maintain post-treatment teeth.